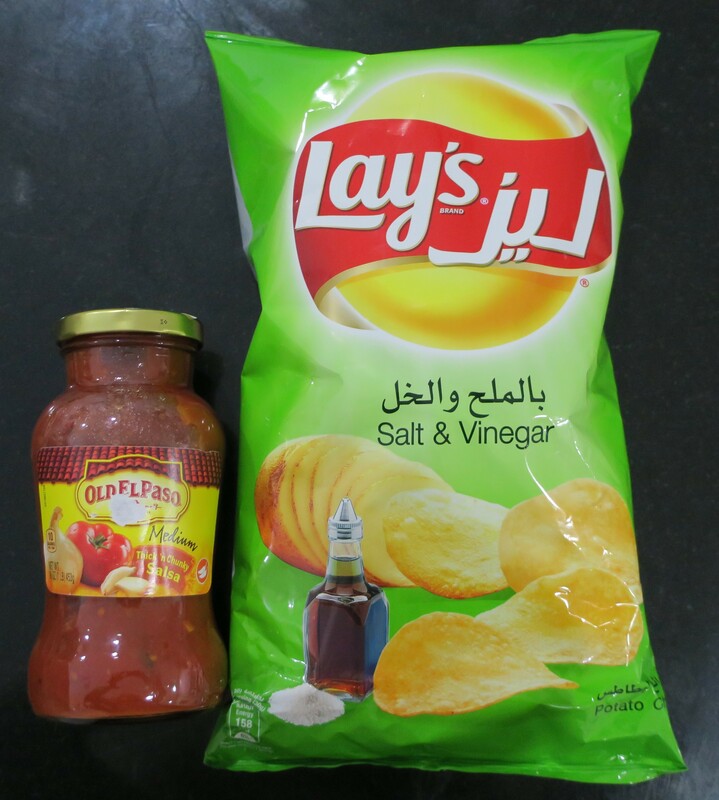 The main reason I hit up Sultan Center was to grab yet another thing of Salsa, because I’d ran out of the stuff, but still had some Tortilla Chips left to go through. Nothing hits the spot quite like this stuff! Since I was there, I figured I might as well pick up a huge thing of Lay’s to go with the Ranch Dip (haulage here). Both of these were repurchases and also the catalysts for the rest of the haulage. These looked new! More importantly, they looked deelish! Heck, even their name (Coconut Ice) sounded yummy! For the past however long, I’ve been guzzling Karak Tea (the ones that come in purple boxes) and at this point, I’m kinda’ sick of it. 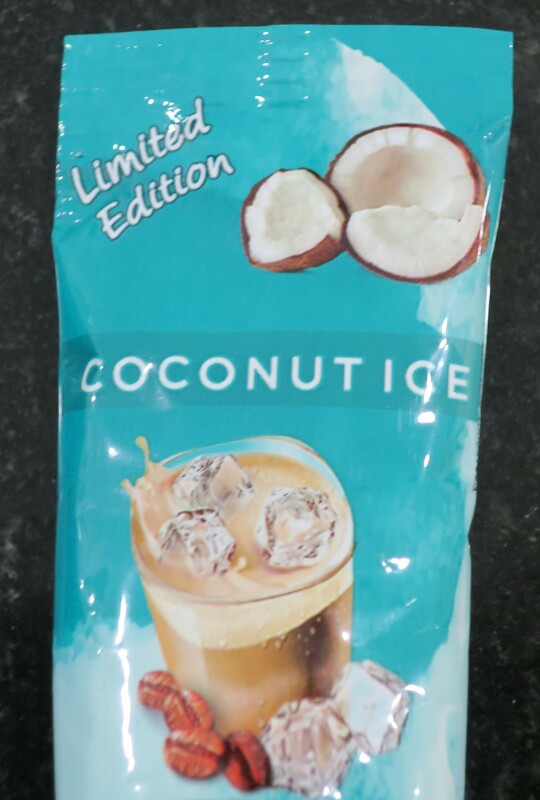 As such, I’ve sorta’ been on the lookout for a new substitute and the Coconut Ice looked promising. Unfortunately, it straight up says “Limited Edition” on the packaging, meaning it won’t be around for too long. 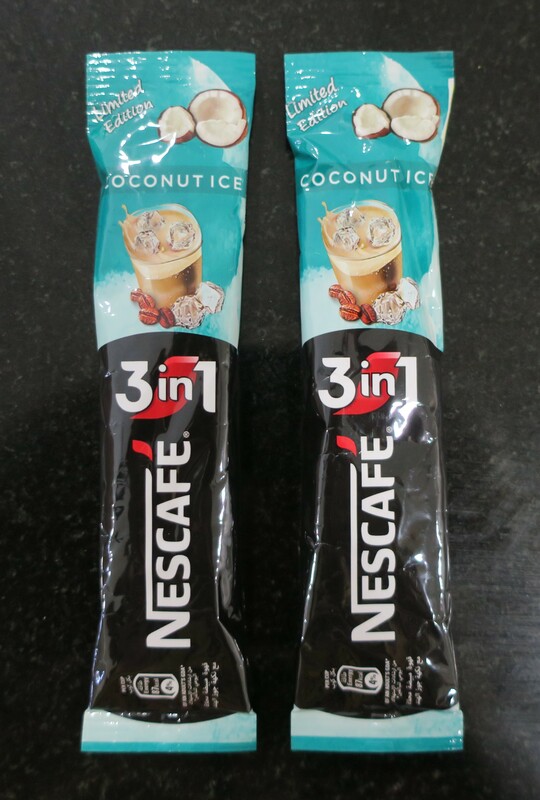 Instead of getting a whole pack of the stuff, I only picked up two sachets for now, just to try. How nice would it be to be sipping on a cold glass of this stuff, pool-side, on a hot summer day your average Kuwaiti day? By now, you already know how much I enjoy my themes! I only needed the Pantene Oil Replacement, but once I was in the Hair Care aisle, one thing led to another and here we are. 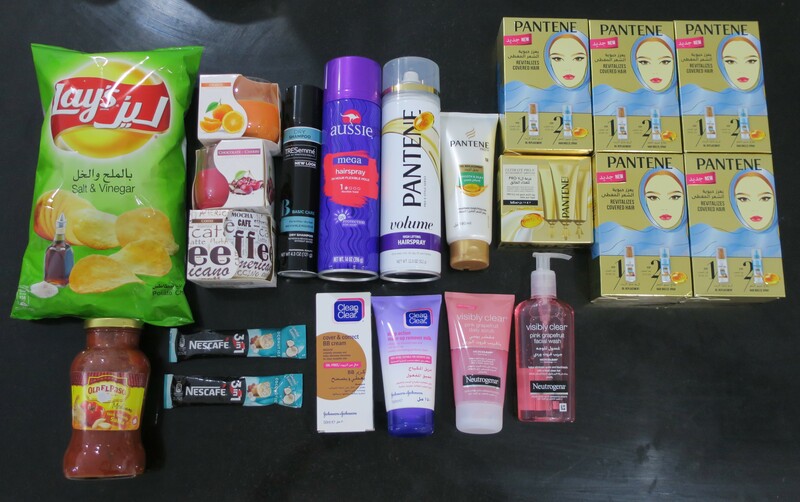 Most of this stuff was already featured earlier in my Spotted at Sultan Center post (here). Still using old remedies for your hair issues? Today’s problems need today’s solutions. 1. It nourishes and repairs* your hair leaving it beautiful and healthy. 2. It creates a protective layer that protects against styling damage. 3. As a final touch, its lightweight creamy texture leaves your hair smooth & shiny without weighing it down. I’ve given up on ever finding my beloved Garnier Leave-In Cream which I used to apply to my hair (straight out the shower) and run out the door (letting my hair air-dry into lovely waves)! It kept the frizz at bay and smelled ridiculously good while doing it! I’m hoping I might get the same results (or at least somewhere in the same ballpark) from the Pantene Oil Replacement, which is why I decided to give it a shot. 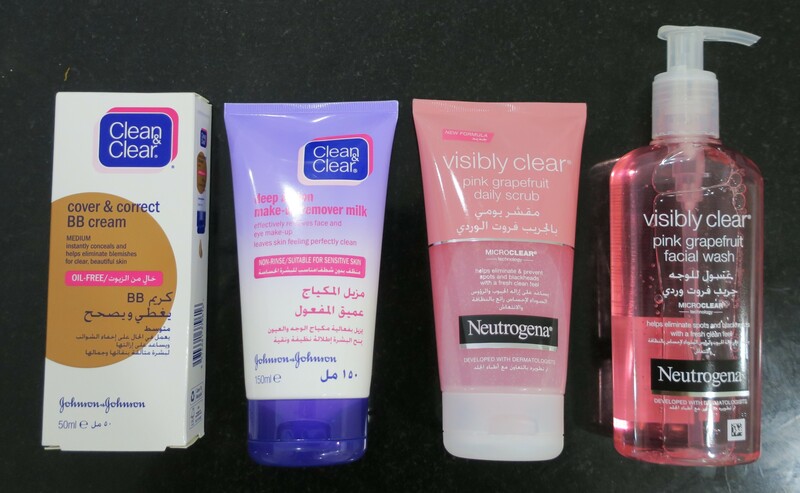 Unlike Hair Oils and Serums, this stuff did not leave an oily residue on my hands! In fact, it felt like Conditioner (I mean… essentially it was a Leave-In Conditioner, after all), except it wasn’t as wet nor as runny. It even smelled like Conditioner, which was quite nice as well! This stuff was pretty awesome at taming frizz! Personally, I’ve been delighted by how wonderful the Pantene Oil Replacement has worked on some of the more “wispy” pieces that frame my face (whenever I happen to straighten my hair)! It also works equally great on the ends of my hair after I’ve curled them (using a curling wand)! I just use the tiniest bit (a little goes a looong way) and it just defines my curls so beautifully! I still haven’t used the Pantene Oil Replacement for what I intended it for (easy breezy natural air-dried hairstyles) because I’ve been either straightening or curling my hair ever since (despite the fact that I just said I don’t have the patience for it lol), and the few times that I didn’t do either, I used the Sea-Tox Sea Waves Hair Foam (haulage here) instead. 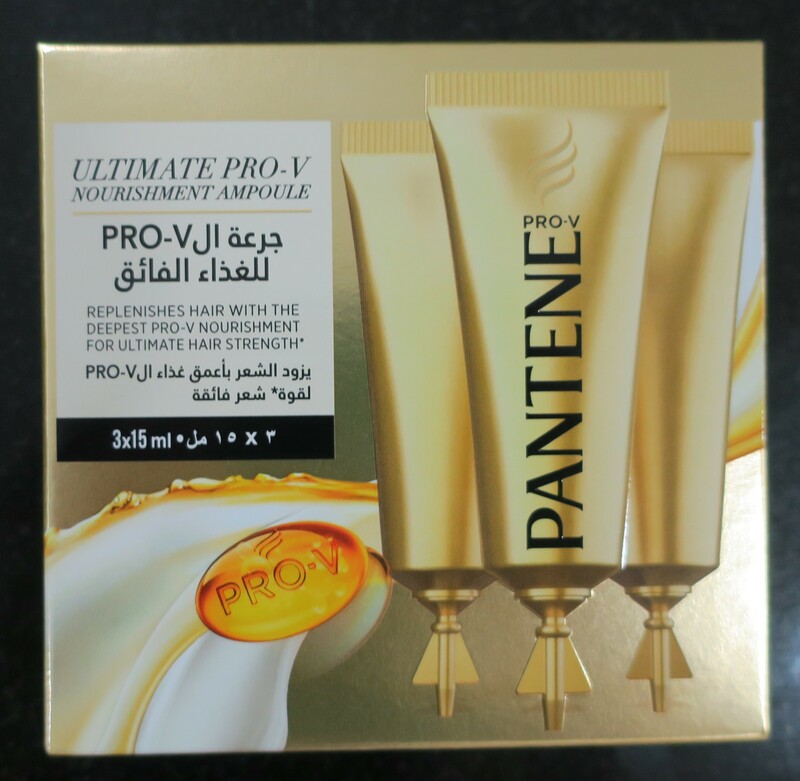 Still, I’m quite happy that I picked this up (despite the faulty packaging, which usually results in a play-dough scent) and foresee the Pantene Oil Replacement coming in quite handy during the more humid weather we’re sure to be having quite soon! The first time I spotted these (here) I thought they were equal parts cute and cheezy! After seeing them everywhere for a while now, I was finally intrigued enough to actually purchase one. While picking one up for myself, it occurred to me to get a few more for my bestie and my cousins, all of whom actually do wear a veil. 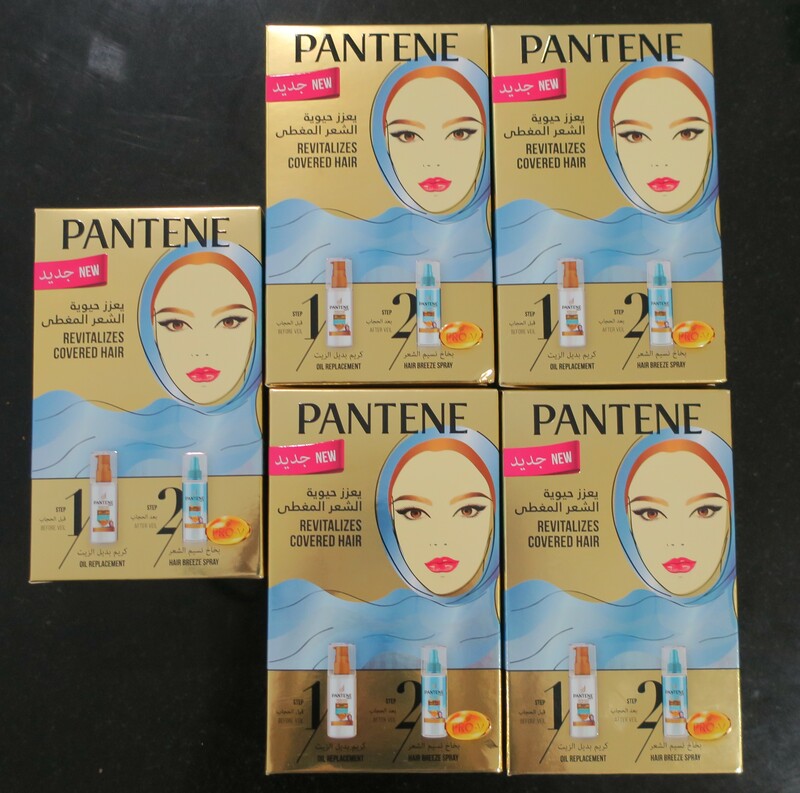 Pantene Oil Replacement, used before veiling, can protect your hair under the veil, and with ingredients that can target the most damaged areas, it transforms your hair intro strong* and beautiful hair. 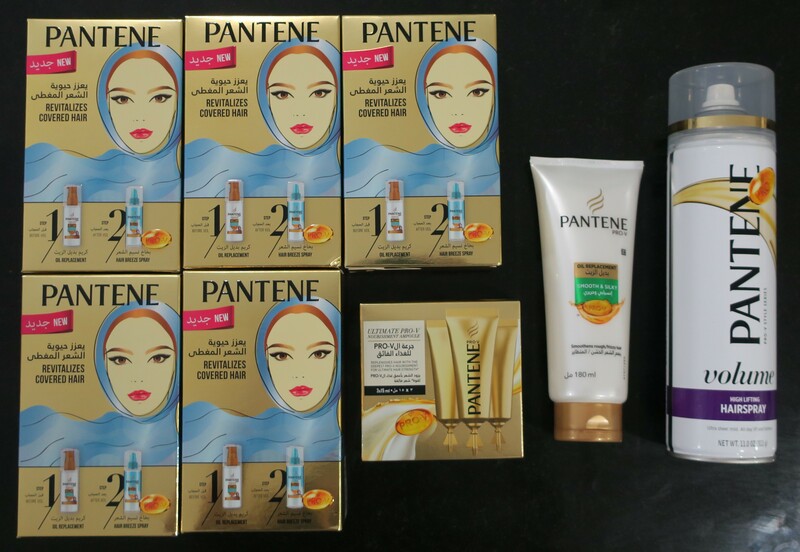 Literally the exact same product as the Pantene Oil Replacement which I’d also purchased, except in different packaging. That stuff came in a flimsy 180ml squeeze-tube packaging (which over time, tends to smell like play-dough) and this stuff came in a much sturdier 150ml pump-bottle packaging. I don’t know how I missed the fact that both products were exactly the same… especially when I even actually blogged about this particular set earlier (here). Oh well, at least it’s an awesome product and not some dud. Personally, I’ve found that it’s excellent at taming frizz (just a tiny bit goes a long way) and has a pleasant scent! Plus, this version is way more portable and travel-friendly, therefore making it perfect for the gym, spa, chalet, after-school swim team, wherever else you need to have a quick shower and be out the door! Pantene Hair Breeze Spray, used in-between veilings (or after veilings), is a breath of fresh air for your covered hair. Its mix of of lightweight moisturizers infused with a fresh fragrance, releases flattened hair and returns vitality to it. Any person with shoulder-length hair (or longer) can attest to how hair can be a veritable magnet to unpleasant scents. You hang around smokers and your hair will end up smelling like an ashtray. You happen to be in the kitchen while someone is frying up something and your hair will end up smelling like a greasy KFC meal. You spend more than 5 minutes outside, under Kuwait’s merciless sun and your hair will end up with that weird, unpleasant, sun-baked scent. Sometimes, hopping into the shower isn’t even an option, especially when you’ve literally just gotten out of the shower and popped into the kitchen to grab a drink, only to have your freshly washed hair end up smelling like onions (because someone in the kitchen was chopping up onions). That’s precisely why I found the Pantene Hair Breeze Spray absolutely delightful! For starters, this doesn’t “spit” at you, as opposed to every other Hair Fragrance, this stuff has more of a fine mist! Also, I mean this in the nicest possible way, but this stuff smells like fresh laundry! It’s not heavy nor overwhelming nor overly perfume-y. It’s a really nice, gentle and clean scent (which I found to be quite pleasant actually), making it perfect for use as a refreshing Hair Breeze Spray! Did I notice a difference in my hair? No. Was I expecting to notice a difference? Also, no. Initially, the enormous size of the Hairspray was what caught my attention. The blather on the packaging was what held it. Volume. High Lifting. Ultra-Sheer Mist. Check, check and check. Sold! Plus, on the back it said Extra Strong Hold (4 out of all 5 dots were filled in, which shows they meant budness). Also, I kinda’ needed a new Hairspray anyway and figured why not keep the Pantene theme going. That said, I haven’t actually used this thing just yet, because I purchased another Hairspray and started using that one first, instead (no sense in opening up both at once). 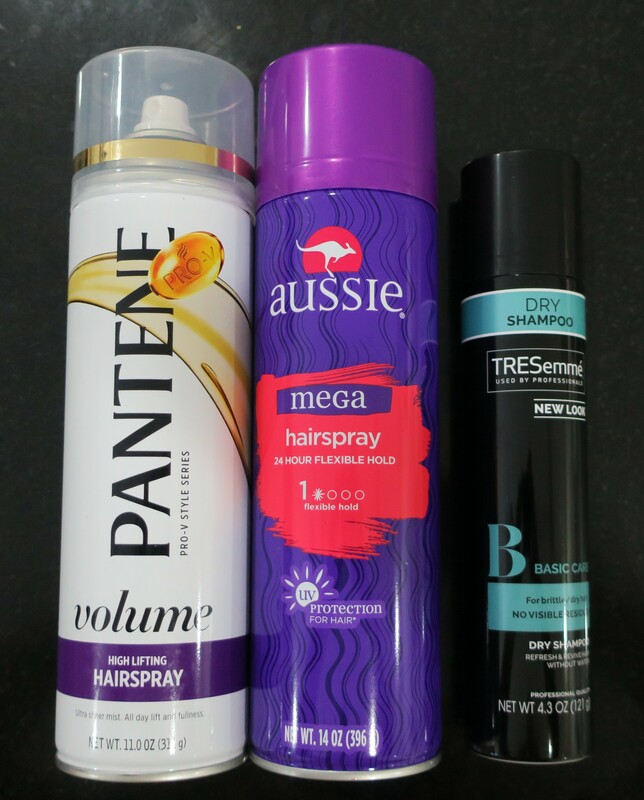 Aussie Mega Hairspray gives a flexible hold that won’t leave your hair stiff or flaky. Now with UV Protection for hair that helps protect hair’s protein to help preserve strength. Your locks will stay touchable, smooth and free to move. Formulated with Australian Aloe, Jojoba Oil, and Sea Kelp this hairspray holds your style without holding you back. I was happy with my previous choice… until I spotted this stuff. The packaging was so cute! Plus, it was from the brand Aussie, which as I’ve mentioned before (here) is kinda’ like spotting a rare pokemon, ok? Among other things, this stuff was formulated with Sea Kelp therefore it was meant to be! Plus, it had UV Protection (in sunny Kuwait? Yes, please!). Also, apparently it was the winner of numerous beauty awards including Seventeen Magazine’s “Best Hairspray” Besties Award in 2013. Best of all, it had a Grape Scent. After all that, how could I not get this thing? After using this all of one time (granted I sprayed each curl separately, immediately after curling it with a curling wand), I found the Grape Scent to be… a bit much. Don’t get me wrong. It’s a really awesome scent and the younger me would’ve totally loved it! However, I find myself gravitating more towards fresh and uplifting scents for now. I’ll still continue to use the Aussie Mega Hairspray in the hopes that it might eventually grow on me. Hang onto that hairstyle for even longer. Infused with Vitamin B12 and Keratin, TRESemmé Basic Care Dry Shampoo is our secret weapon to refresh dry, dull hair between washes by removing excess oil and impurities. Of course in Kuwait, we only got one (Blue), but hey, at least we even got one at all. I’m always down to try out a new Dry Shampoo so I quickly snatched this baby up. Unless you work at a Hair Salon or something, you literally have no business purchasing two enormous cans of Hairspray at once. Having said that, I don’t exactly have the most sane shopping habits so… yeah. Seeing as how I’ve just gotten rid of a ton of Hair Stuff (here), I figured I had more than enough room for some new additions. I also snagged some Face Stuff to qualify for the promo (full deets here). 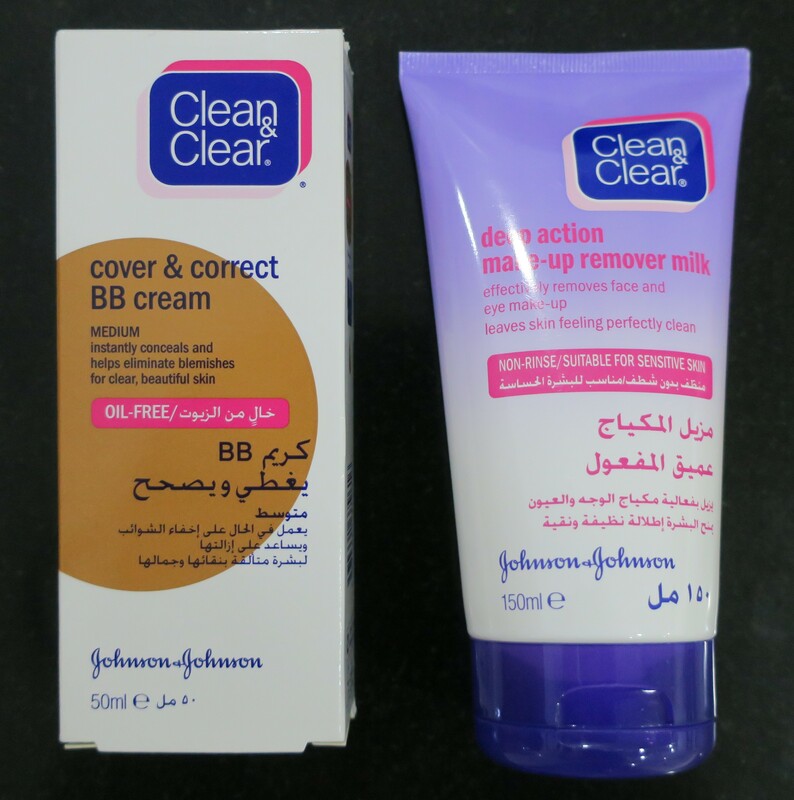 Unfortunately, the BB Cream in the shade Medium had already been opened (based on how ratchet the actual tube looked) and had completely gone bad (based on the rancid smell). It was only KD 2 though and definitely not worth the headache of going back to exchange it. On the plus side, at least now I know that the shade Medium is a pretty good match for me! As for the Makeup Remover, it’s my tried and true favorite and I will continue to repurchase this thing for as long as they keep making it! I seem to be jonesing for some uplifting scents in my products, more so recently. 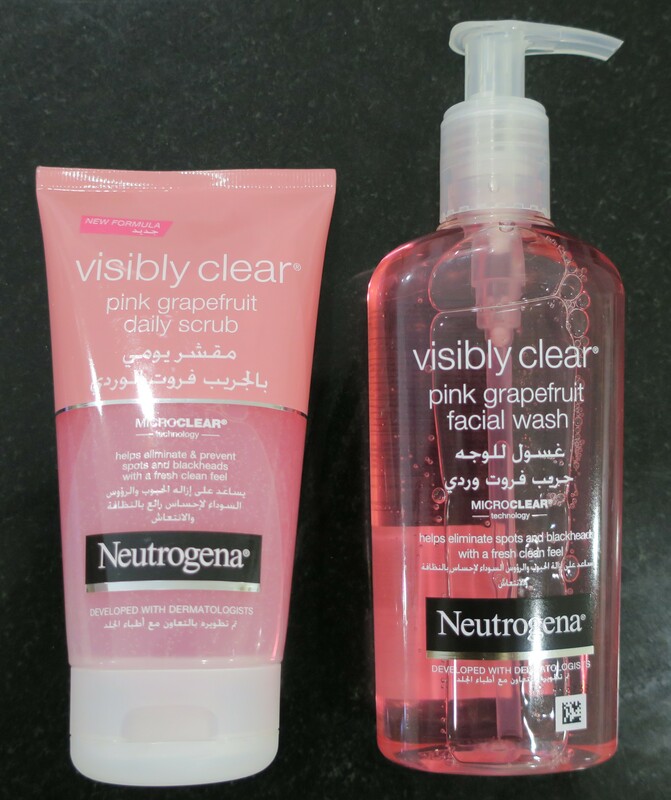 I’ve tried the Pink Grapefruit Facial Wash before and absolutely loved it! Since it’s been a minute (about 4 years or so), I decided to repurchase this thing on a whim. It was situated next to the Pink Grapefruit Daily Scrub so I decided to get that too, so I could use both of them together and maximize their effect, or at the very least, the delightful scent of the Pink Grapefruit range! The Face Stuff helped me qualify for x2 Scratch & Win Cards (full deets here). Can you guess what I won? I got more of those KD 1 Vouchers! It’s official! I’m finally rich now! I definitely came across these Scented Candles in a Glass before, at the Hawally branch of Sultan Center (Promenade). I distinctly remember being absolutely smitten with the Chocolate & Cherry scent in particular! I meant to purchase one or two, but opted out at the last minute for whatever reason (probably because I was hugging way too many things to my chest, instead of getting a shopping cart or shopping basket like a normal person). 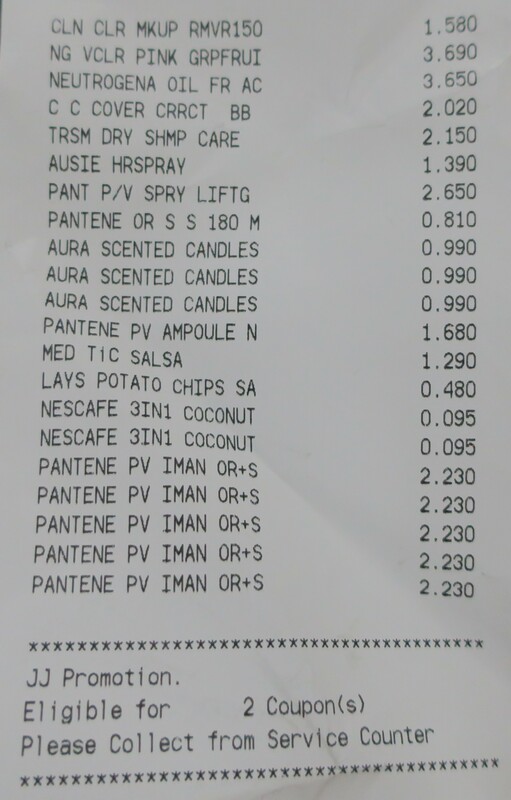 I totally forgot all about them until now, when I spotted a whole bunch of Bispol Aura Scented Candles in a Glass facing the Hair Care aisle at Sultan Center (Souq Sharq). Bispol originated in Poland and they make all kinds of Candles, Scented Reed Diffusers, Scented Wax Melts and even Graveyard Lights (oooh grim). They were listed in Forbes Diamonds 2016 and Golden Consumer Laurel 2017. The Candles they make range from table candles, taper candles, renaissance candles, ball candles, pillar candles, square candles, glass candles and so on. All the different divisions and sub-divisions in the Scented Candles range alone seems endless! They’ve got Scented Candles in a Glass (as shown) and Scented Candles in a Glass Jar with Lid (with scents like Love and Morning Mist and Hazelnut Truffle) and Three-Color Scented Candles (very pretty gradient effect!) and Scented Candles in Glass and Foil (playful packaging and equally fun scents) not to mention Tea Lights (someone, please bring those to Kuwait, heck bring the entire brand) in a wide variety of scents! Chocolate & Cherry: The scent of chocolate on this baby is divine! I don’t even like chocolate and I usually abhor the scent of cherries (in any form), but this candle is an absolute must-have! Don’t believe me? Go give it a sniff. You. Will. Die. It’s just that gorgeous of a scent! Orange: This smells like a yummy orange creamsicle! It’s not too sharp and tangy nor is it overly sweet. Instead, it’s a happy medium! I wouldn’t have purchased an orange-scented candle otherwise, because those tend to be too generic and boring. This however is anything but! Coffee: I thought this scent was unique enough to warrant a purchase. I’m definitely not going to burn it anytime soon because I’m saving it for when the weather cools down (i.e. dead of winter lol) which is when I believe is when I’ll be able to truly appreciate its scent! I only picked up these three, for now. The Chocolate & Cherry and the Orange are both from the Scented Candle in Glass range whereas the Coffee is from the Scented Candle in Glass and Foil range (hence the packaging). Good quality, good price, gorgeous scents! Definitely check out their website (http://www.bispol.pl) for more information. I spent a total of KD 35/700 which seems pretty reasonable.